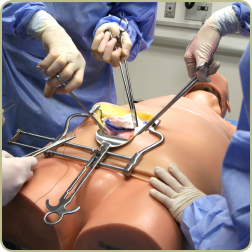 TraumaMan owners can now select packages for up to four students from three NEW chest tissue variations. 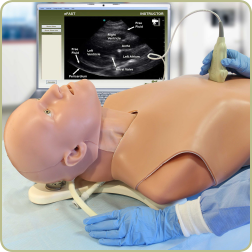 Classic Connect Bleeding is the tissue configuration TraumaMan owners are accustomed to using. It includes blood flow and pleura patches that attach to the thoracic cavity vest. Quick Connect Bleeding is the same patented tissue as classic connect and integrates the pleura into the chest tissue so it attaches to TraumaMan as one, easy-to-use piece. Quick Connect Non-Bleeding is the best value if bleeding tissue is not critical to your training. It also integrates the pleura into the chest tissue and easily connects to the TraumaMan System. 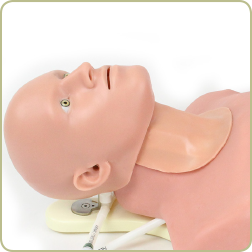 Articulating Head for simulating an intubated patient, and creating a more authentic experience. 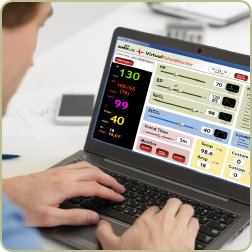 Virtual Patient Monitor. Fully customizeable, PC-based software that updates in real time. 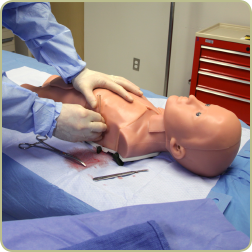 TraumaChild, for pediatric trauma team training.